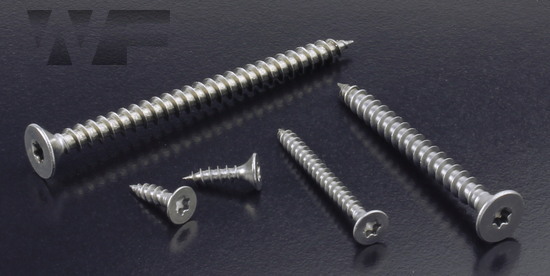 General purpose wood screws with a Torx drive; also known as star, 6 lobe, and hexalobular internal. 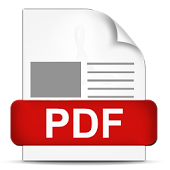 The torx drive is designed to prevent 'cam out', which makes them ideal for use with modern drill/drivers. 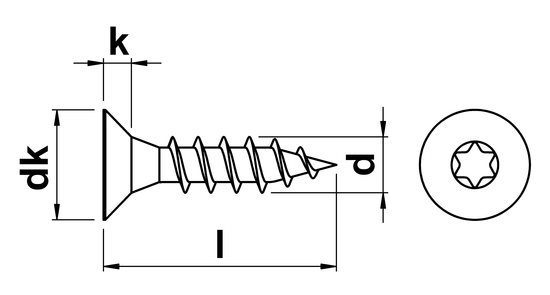 The countersunk head is typically used in conjunction with a countersunk hole providing a flush, snag free fit.